Improving the curb appeal of your home using landscaping and hardscaping makes your property stand out for all the right reasons. In a sluggish economy, a small investment in landscape design can get your house sold in less time. 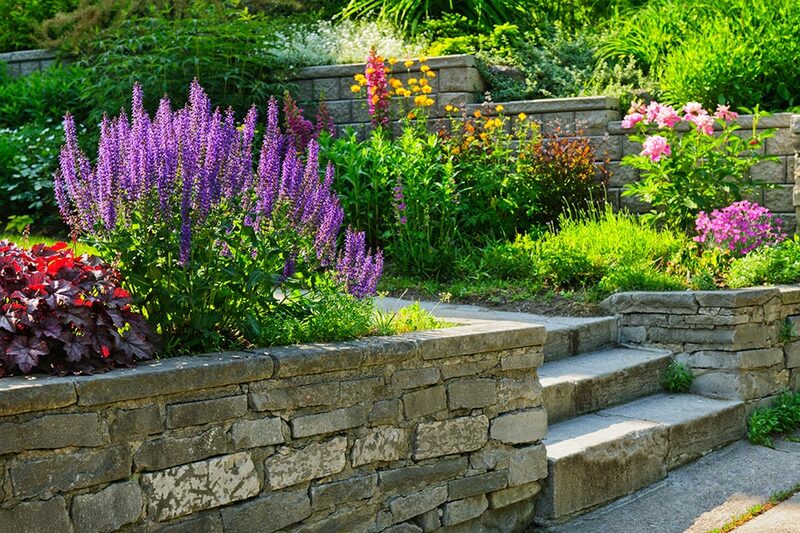 Combining stonework, walkways, and colorful plants creates a welcoming impression. Landscaping your front yard speaks volumes about you, the property owner. 'You only get one chance to make a good first impression' is an adage that aptly pertains to your home's curb appeal. Even if you are not planning to sell your home this season, it can't hurt to have your front yard landscaped for curb appeal. Landscape design draws the eye toward your home by incorporating pleasing natural elements, color, contrast, and creative use of space. The focal point of a front yard landscaping project is your house. The appearance of your home from street level ought to draw the eye in a pleasing way to the front door of the house. The path from the street to the front door should be clear and inviting. Landscapers are masters of accentuating the attractive and minimizing areas that are not. Just as lighting in a theater evokes a mood, use of color can dramatically affect the appearance of your home from the street. Choice of color is best left in the hands of the designer. This brings us to the appearance of your facade and the entry to the home. If your home's facade looks shabby or tired, a fresh coat of paint will be a big improvement. Before making any drastic changes, though, consult the design team at Grass Roots Inc for a consultation. When you want to improve the appearance of your front yard for your own satisfaction or improving your home's curb appeal for an open house prior to a sale, you need the expertise of a professional and experienced team. Call the professional team at Grass Roots Inc at 203-746-6638 today.